We have already tested most motherboards based on the AMD 890GX chipset and interesting from the point of upgrading/building a mid-end machine. It's time now to round up the information. Let's revise how the chipset is different from its predecessor AMD 790GX. First of all, there's a newer Southbridge supporting SATA 6Gbps; the integrated graphics core supports DirectX 10.1 and the new Hybrid CrossFire mode with ATI Radeon HD 5450. The chipset itself is examined in a dedicated review. By the way, according to our performance tests, the graphics core of AMD 890GX is the most powerful today in its class. As we expected, most of AMD 890GX-based motherboards have rich features, like those based on 790GX in due time. So not only these products can be useful for those willing to build a mid-end rig with integrated graphics, gamers may like these motherboards as well. 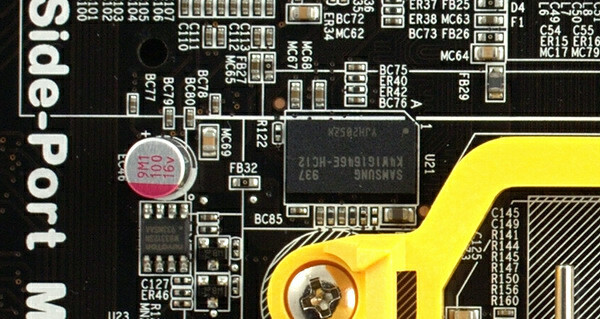 All motherboards have at least two graphics slots supporting symmetrical CrossFire (i.e. it switches to x8+x8, when you install the second graphics card). In most cases the slot operation mode is switched automatically. 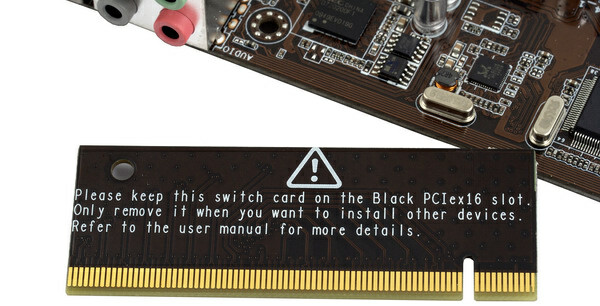 Just ASUS M4A89GTD Pro/USB3 suggests using a daughterboard in the first slot, if there's only one graphics card installed and it needs all of the 16 PCIe lanes. ASRock 890GX Extreme3 and ECS A890GXM-A also have the third graphics slot that can be used by, say, a physics accelerator or any other PCI Express can that can live with 4 PCIe 2.0 lanes. Speaking of video interfaces, the scheme is traditional across all motherboards: any of the digital ports (HDMI, DVI, DisplayPort) can be used simultaneously with the analog one (VGA). In most cases interfaces include HDMI, DVI and VGA. Although ECS decided to stand out and added DisplayPort, which is convenient, because you don't have to use adapters. Besides, you won't have to re-plug cables, if you also need to connect a TV or a projector to output what's on the primary monitor. All motherboards have own video buffers for graphics core needs. Note that ECS stood out again and provided a GDDR3 chip instead of a DDR3 one. Although it didn't provide any special advantages in performance tests. Memory type isn't critical even for discrete inexpensive graphics cards, because performance is most often bottlenecked by the graphics core itself. This is even more so for an integrated graphics core. The use of DDR3-1600 by some motherboards also doesn't affect performance directly, because memory still works at the typical DDR3-1333 clock rate without overclocking. All motherboard makers did a good job with coolers. 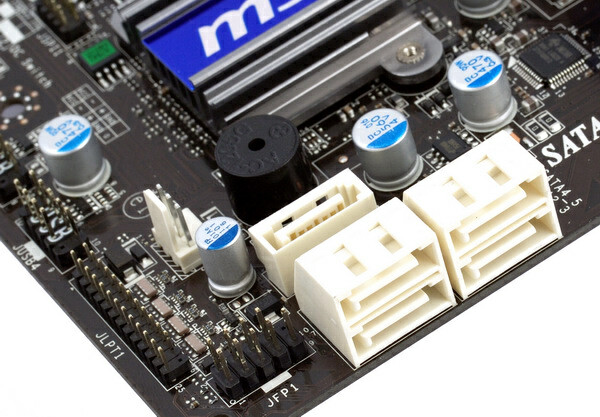 Every motherboard have decent heatsinks on the Northbridge and MOSFETs. All of those, except for Foxconn's, are interconnected by means of a heatpipe, which improves heat dissipation and makes it easier to choose a CPU cooler. While the chipset doesn't get much warm in the typical mode, some reserve of cooling may still come in handy during overclocking, a feature supported by all motherboards. All solutions support Socket AM3 CPUs with up to 140W TDP, i.e. everything there is today. As well as what will be, apparently, because there are no plans to push the 140W envelope even in highest-end processors. Just the opposite, the recently announced hexacore CPUs have 125W TDP. Besides, some quad-core models initially designed for 140W have already moved to the stepping C3 featuring 125W peak theoretical power consumption. Of models tested, ASUS M4A89GTD Pro/USB3 and ASRock 890GX Extreme3 have the most phases and offer the best stability under peak load (10 phases, including 2 dedicated to powering Northbridge). All models have 4 DIMM sockets, offering the max. memory capacity of 16GB. Some motherboard specifications mention non-standard max. memory frequencies like DDR3-1800, which is actually stretching the truth. All motherboards are guaranteed to work with memory up to DDR3-1600, there's a standard multiplier for that and Socket AM3 CPUs support it. Any faster clock rates can be achieved by increasing reference frequency, i.e. overclocking. Which, as we know, depends on memory modules and processor. A good combination of these two may get you frequencies even higher than specified. And vice versa. Backpanel interfaces are very similar, differences are minor. For example, ECS and Foxconn decided to wait a little with USB 3.0 support, while all other motherboards have NEC controllers supporting 2 ports (usually marked blue). eSATA support is even more diverse. ECS and MSI used a chipset port hence SATA 6Gbps compatibility. ASUS added an auxillary SATA 3Gbps controller. Finally, ASRock added a eSATA 3Gbps port while keeping the full set of chipset ports for internal devices. They claimed that the external port was also chipset-powered, but it used power meant for one of the internal ports. As for the "rollback" to the SATA 3Gbps standard, they said it was caused by difficulties in circuitry layout. Anyway, the motherboard is supplied with a eSATA 6Gbps bracket that can use another internal port. Original differences only include the two LAN ports on ECS A890GXM-A. Note that it lets you combine the ports into a doubled-throughput channel, given your other networking equipment supports it. Since the SB850 Southbridge supports 6 SATA 6Gbps ports (RAID 1, 0, 0+1, 5), all models have at least 5 internal SATA ports (the 6th being used for eSATA). And Gigabyte GA-890GPA-UD3H has an auxillary SATA 3Gbps controller that provides 2 more internal ports. PATA support isn't that great, although the standard is still important for users. Only Gigabyte GA-890GPA-UD3H and MSI 890GXM-G65 offer the standard (i.e. trouble-free) support for an IDE channel for 2 devices by means of the chipset controller. In turn, ASUS provides an auxillary controller for some reason (like those in Intel-based motherboards), which is definitely worse in terms of compatibility, especially outside Windows. It also takes longer to boot (of models tested, ASUS M4A89GTD Pro/USB3 is the slowest with POST procedure). Finally ASRock 890GX Extreme3, ECS A890GXM-A and Foxconn A9DA-S just don't have the interface.